Verbatim theatre is a form of documentary theatre which is based on the spoken words of real people. This Spring, Junction 8 Theatre’s production of their new verbatim play Lancastrians will tour community spaces around Lancashire. The play was made using the real words of 500 people interviewed about living in Lancashire today. Three actors take the audience on a whistle-stop tour of the county, playing a multitude of characters in a variety of locations, creating a snapshot of Lancashire life. In this FREE practical workshop with Leeds Playhouse, JMK Director Practitioner Liz Stevenson will share the process of making Lancastrians. 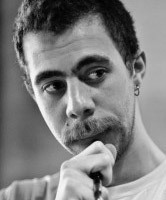 You will find out about different approaches to making verbatim work, try out some verbatim techniques for yourself and explore how this approach to making theatre might influence your own practice. 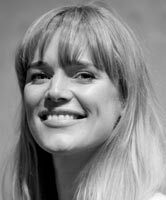 Liz Stevenson is an experienced freelance director and former winner of the JMK Award (2015), Artistic Director of Junction 8, and is soon to become Artistic Director of Theatre by the Lake. 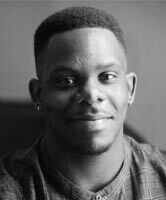 JMK Assistant Director bursary recipient Nyasha Gudo shares his experience of working on The Mountaintop, written by Katori Hall and directed by Roy Alexander Weise (who won the 2016 JMK Award with this production). 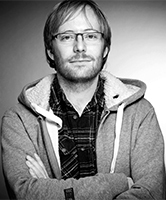 The show was a co-production between Reading Rep, Nuffield Southampton Theatres and Desara Productions, and also toured to Northern Stage, The North Wall Oxford, Curve Theatre Leicester, Bristol Old Vic and Birmingham Rep.
How has the JMK Assistant Director bursary helped your career as a director to develop? I acquired new skills, knowledge and experience through working on my first touring production. The bursary added to my work experience, making me more attractive to future employers as my technical knowledge and ability to lead a company have been tested and proved. Each venue required the actors to give the audience a fresh energetic performance, the challenge of maintaining the cast’s performance and teching the show at various venues, all with different technical requirements, improved my confidence helping me to develop as a director and leader. What are the main things you have learnt from the experience? I learnt how to technically rehearse a production efficiently and that as a director you have to create an environment where everyone involved in the process feels safe and secure. Part of creating a safe and secure environment is enabling the company to be okay with getting things wrong to get them right, including myself the director. What have you been working on since the bursary? Since the bursary I have been working as a drama facilitator with young adults who have additional needs, young adults in care and young careers, as a facilitator at HMP Birmingham, as a support artist to a visually impaired director, directed two short plays with poets who are first time playwrights and currently as an assistant director for an immersive piece of theatre. I will continue to expose myself to a diverse spectrum of productions, theatres and creatives because I believe a variety of skills and knowledge will make my practice as an artist effective. I will continue to look for assisting and directing roles that challenge my ability and understanding of theatre and its many forms, I have also been taking part in masterclasses with the Birmingham Opera Company as a way of looking at different forms of theatre that can help enhance my work. I am also studying the human psyche using the works of the psychoanalyst Carl Jung to help me find a way of creating work that can penetrate and occupy an audience. What was the best thing about being the JMK Assistant director on The Mountaintop? Apart from being paid to do what I love on such a brilliant piece of writing, I would say the opportunity to work with a black cast and director who are also the same age as me. It made the whole experience fun and liberating. 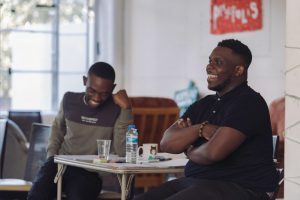 On the second Thursday of every month (7-9pm), our JMK bursary recipients Nyasha Gudo and Lucy Bird will be running a free workshop at Birmingham Rep for Midlands based directors. These workshops will be a practical and theoretical look at various aspect of directing, such as preparing a text for production, working with a writer, how to give notes in rehearsals, blocking, running technical rehearsals, and a workshop with one of the Birmingham Rep's producers. The first workshop will be held on Thursday 11 April, 7-9pm in Meeting Room 1, Birmingham Rep. It will focus on Approaching Text: Hints and Tips for Table Work. Free JMK event as part of Dundee Rep's inaugural Rep Stripped festival. If you’re a director and looking for some advice or guidance on how to polish up your CV or have questions about how to make job applications work better for you, we’re offering 1-2-1 20 minute chats on Saturday 27th April at Dundee Rep, with our JMK Director Practitioner, Maria Crocker. This event will take place in the Cafe Bar at Dundee Rep. It is free to attend but you must book your time slot in advance. To book your free place, please email maria@jmktrust.org selecting your 1st and 2nd choice of time slot. Slots will be allocated on a first come, first served basis. This JMK session takes place on Day 9 of Rep Stripped - a new festival at Dundee Rep (18 - 27 April), that showcases the best as-yet-unseen stories for the stage in a stripped back, intimate environment. The festival programme also includes workshops, discussions and opportunities. Find out more. 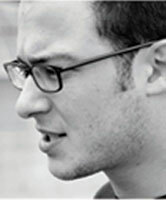 The JMK Trust in partnership with HOME is offering an Assistant Director Bursary on Javaad Alipoor’s next production. 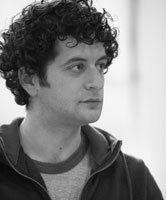 This production is the third in a trilogy of shows by Javaad Alipoor and his collaborators, which began with the critically acclaimed The Believers Are But Brothers. The bursary recipient will demonstrate a commitment to living and making theatre in the North West and will also be or become a participant of the JMK HOME Directors’ Group and as part of the bursary will also be responsible for working with the JMK Director Practitioner and HOME to support and facilitate the group until next year’s bursary recipient is chosen. Bursary: £2,350 inclusive of all expenses. Additional expenses for rehearsals outside of Manchester will be covered. Why you are interested in working on this production. How this assisting opportunity and involvement in the JMK Trust Directors’ Group will contribute to your professional development. Your commitment to living and making theatre in the North West. 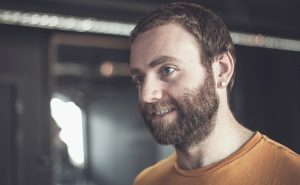 In our latest JMK blog, Evan Lordan describes his experiences as the JMK Assistant Director on Touching the Void, adapted by David Greig from the memoir by Joe Simpson, and directed by Tom Morris. Touching the Void was a co-production between Bristol Old Vic, Royal Lyceum Theatre Edinburgh, Royal & Derngate Northampton and Fuel. The production also toured to Hong Kong Arts Festival, Perth Theatre and Eden Court Theatre, Inverness. Why did you apply for the JMK Trust Assistant Director bursary? 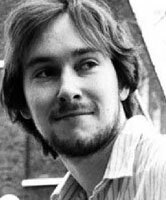 I had just finished studying at the Bristol Old Vic Theatre School and, having moved from Ireland, I had no professional theatre experience within the UK. This was an opportunity to introduce myself to theatre professionals working in the city I hoped to make my home and to the UK industry as a whole. What are the main things you learnt from the rehearsal process for this production? Don’t be afraid to ask questions. Touching the Void was adapted by David Greig and I was amazed at how much director, Tom Morris, and the company were willing to ask questions of the initial drafts. I was like, “This is David Greig, I think he knows what he’s doing.” But he was only too happy to hear everyone’s thoughts as he continued to develop his own understanding of the script. What did you learn from touring the show? Keep digging. We were developing the show as we went and so the script was constantly evolving, even throughout previews we were making changes to the show and so we didn’t actually have a huge amount of time to finesse. This meant that as we toured we were still able to make discoveries about characters and moments as we went. This was great for keeping everyone interested, active and alive, even after 100 performances. What are you working on next, and how will this experience help? 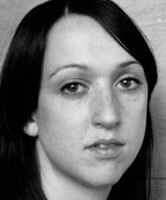 I am working on a new play with my company, Conflicted Theatre (www.conflictedtheatre.com) and so watch this space. I am very interested in creating new work and so this experience was a fantastic lesson on how to approach questioning and structuring work that hasn’t been seen by audiences before. How did you get into theatre directing, and what advice would you pass on to those starting out? I fell into theatre in my late twenties when I wrote a play with a friend of mine as a way to spend time together. I then studied Drama & Theatre Studies in University, which is where I actually learned what theatre was for the first time. My advice would be to always remember why you love theatre; it’s very easy to get distracted by the other trappings that you encounter along the way or while filling out endless funding application forms. It’s so important to remember why you do it, then it’s easier to transmit that love and enthusiasm to the audience. Why is it important to have Assistant Director roles, such as the JMK bursary? It’s incredibly helpful for budding theatre makers to see the process of more established practitioners and the process of producing a show in a large theatre. You learn what it is that you are striving towards. You also learn that highly regarded theatre makers don’t always have all the answers and often have the same struggles as you when making a show, which makes me feel an awful lot better! I love being part of the creative process. Having and sharing ideas and then having them challenged and improved upon by the collaborators that you surround yourself with. One of my favourite things about being a director is the opportunity to inspire and be inspired every day. To find out more about our JMK National Programme, including our Assistant Director bursaries, please click here. This JMK Assistant Director bursary was kindly supported by the Leverhulme Trust. This workshop with Rosanna Vize will take a look at the Director-Designer relationship and the process of creating and developing design for the stage. Rosanna is currently working on The Audience which will open at Nuffield Southampton Theatres in May. 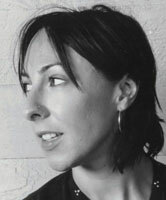 Rosanna trained as a designer at Bristol Old Vic Theatre School. 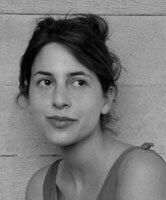 On graduating she became one of the finalists for the prestigious Linbury prize for stage design in 2013. 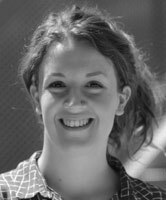 In 2014 Rosanna became one of the Jerwood Young Designers and was resident assistant designer at the RSC from 2014-2015. Credits as Designer include: Cougar (Orange Tree Theatre), Hang (Sheffield Crucible), The Phlebotomist (Hampstead Theatre), The Audience (Nuffield Southampton Theatres), The Almighty Sometimes (Manchester Royal Exchange), Leave Taking (Bush Theatre), FUP (Kneehigh), Incantata (Galway Festival & Barbican). She won the 2018 Off West End Award for Best Set Design for her work on Low Level Panic (Orange Tree Theatre). With Leeds Playhouse, we’re hosting a two day intensive for 10 early career Directors and 10 early career Set & Costume Designers to explore the relationship between these two roles and the process of creating the design and concept for a piece of theatre. It’s also an opportunity for artists to meet potential collaborators and peers from across the region. The two days will be led by Hamlet Director Amy Leach and Designer Hayley Grindle, with contributions from Sound Designer & Composer Alexandra Braithwaite. The intensive is FREE to attend and includes a free ticket to watch Hamlet. Saturday 30 March, 10am – 5.30pm in Rehearsal Room 3, St Peter’s Square. The intensive and theatre tickets are completely FREE, supported by the JMK Trust and Leeds Playhouse. To apply for a place, please send your CV and a covering email including a paragraph explaining why you feel this workshop would be of particular benefit to you at this stage of your career development to Amy Leach - amy.leach@leedsplayhouse.org.uk by 6pm on Friday 22 March. Please mark your email ‘Director/Designer Intensive’ in the subject line. Leeds Playhouse will let you know if you have a place on the intensive on Monday 25 March. If you’re looking for some advice or guidance on how to polish up your CV or have questions about how to make job applications work better for you, we’re offering 1-2-1 half hour chats with JMK Director Practitioner, Maria Crocker. To book please email maria@jmktrust.org selecting your 1st and 2nd choice of time slot for Monday 25th March from the options below. Slots will be allocated on a first come, first served basis and the deadline for notes of interest is 12 noon Wednesday 20th March. Please remember to specify a 1st and 2nd choice of time slot. In January we sent a call-out asking for expressions of interest from artists based in the Berkshire, Wiltshire, Hampshire and Oxfordshire areas, who have an idea in the early stages of development, that they would like to test over the course of a day at Reading Rep.
We have invited 5 directors and theatre-makers to use the space and they are now looking for collaborators to join them as part of their exploration. The development days will take place from Monday 8th – Friday 12th April at Reading Rep. For more information about the projects, including dates and times please see below. Routes to Collaboration aims to facilitate new opportunities for connection between creatives based regionally, as well as allowing new ideas to be practically explored within a rehearsal space. It is an artist led project, facilitated by the JMK in association with Reading Rep, Wiltshire Creative and Nuffield Southampton Theatres. There is no level of experience required to join an event and the call-out is open to all creatives, regardless of discipline, including writers, producers, actors and designers. If you are interested in joining one of the above research and development days, please email: nik@jmktrust.org to register your interest as soon as possible. Please include a short bio about yourself and a brief description (no more than a paragraph) of why you are interested in the project. Please ensure that you are fully available for the date specified. You are welcome to register interest for more than one event. Collaborators will be selected in conjunction with the lead creative of each day. If you have any questions or require any additional support, please contact Nik Partridge, JMK Director Practitioner at the above address. About the Project: A few years ago, my nephew bust open his lip in a terrible fall. I was astounded how throughout that day from the taxi drive to A&E and in the hospital, a 5-year-old boy was told to be brave and not cry. As a woman, I am increasingly disturbed by the language used about men when discussing how we prevent the discrimination and violation we can experience in spaces where our power is usurped. I am concerned with the direction of conversation that suggests that men are naturally predatory. We are using the same paradigm of stereotypical thinking used to subjugate women. My premise for the exploration is that men are also victim to the patriarchal system, that though they are primary beneficiaries, it is the flip side of the same trap to carry the weight of a set of expectations. About Sabrina: I’m a performer & writer growing into directing with a background in journalism which drives my interest in issue-based storytelling. I love new writing and have performed in theatres across London. As a theatre maker, I enjoy exploring the themes of; identity, heritage, migration and I am very curious about transgenerational trauma. I am passionate about using movement and music in my practice. My first play An African in the snow - a migratory experience of loving and living in the cracks of identity across 5 countries has an upcoming short residency at The Pleasance (Islington) Theatre's LABS programme. Key Question: What can we learn about someone from simply watching and listening? Can an unexpected encounter leave us with a profound sense of who we are? About the Project: Through my work as an actor and director, I’ve developed an interest in the power of simple, truthful engagement. We are each full of life, energised and intuitive. Carrying with us a rich tapestry of knowledge and experience, what we might call character. Over the course of the day, I hope we can permit ourselves to relax and prepare a safe and comfortable environment, in which we can bring truthful and honest engagement with each other. In doing so, we can discover the natural and powerful stories that live within us all. About Michael: Michael has spent many years in the industry, crossing performance boundaries that cover musical theatre, acting for stage and screen and voiceovers. 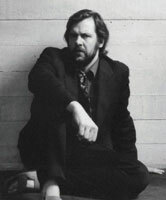 Some years ago, an intense study of modern acting techniques, led to an interest in research and development projects and the creation of original contemporary work. 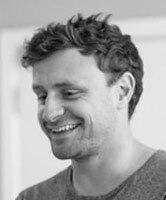 Launching Step Up Drama in 2007, Michael has run a variety of workshops and development projects with actors and writers and continues to do so with the help and support of respected organisations that include Oxford Brookes University, Oxfordshire Theatre Makers and Stage Directors UK. Key Question: How might Romantic Poetic Drama most successfully be staged? About the Project: Confronted only with the rhetorical acting styles and elaborate sets of 19th century theatre, Lord Byron never sought to stage his 1821 verse-drama, Cain, but, instead, classed his work as ‘mental theatre’. Yet, the play is intrinsically theatrical, its poetic richness and intellectual daring stemming directly from the compelling struggle between its conflicting characters. In a day of R&D at Reading Rep, we will seek to discover whether, two centuries later, today’s theatre-makers are better equipped to grapple with and present Byron’s provocative drama of disillusionment and aspiration, rebellion and murder. 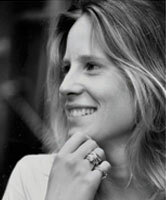 In the morning, we will first address the demands of speaking Byron’s verse with several activities often used in the rehearsal of Shakespeare, before then experimenting with how best to depict and embody the tortured psychologies of Byron’s characters – drawing on approaches from Stanislavski, Lecoq and Laban. In the afternoon, we will tackle the challenge of staging Cain’s metaphysical second act, in which the protagonist is led on a cosmic tour through time and space by the fallen angel, Lucifer. Taking our cue from the rhythm and sound patterning of Byron’s verse, we will explore how the play’s interstellar settings might be evoked physically and expressively by performers. Expressions of interest for collaboration on this project are open to all theatre-makers willing to engage both their bodies and minds; but performers with experience of verse-speaking or of dance and physical theatre are especially encouraged to register interest. 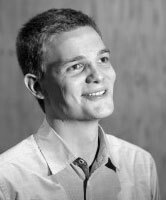 About Adam: Adam is a fledgling theatre-maker, based in Hampshire, and a graduate of Oxford University, where he acted in and directed many student productions. 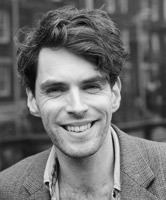 He has staged both new writing and modern classics – most recently Caryl Churchill’s Top Girls – but has a particular interest in the production of rarely performed historic works that can simultaneously illuminate and challenge modern preoccupations, values and discourses. 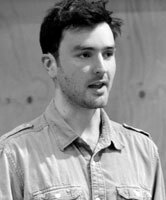 Adam has spent time shadowing award-winning director, Jonathan Kent, and has worked as a rehearsal assistant at Grange Park Opera and as a dramaturg for Winchester’s Woolly Hat Fair. He has undertaken short courses at RADA, the Royal Conservatoire of Scotland, the Royal Central School of Speech and Drama, the RSC and with Ariane Mnouchkine's ‘Ecole Nomade’. He is currently preparing a fringe production for performance later this year. Key Question: What ritual or habits (spiritual, religious or superstitious) are part of every day life? About the Project: I’m writing a play that centres on a Chinese family coming together on Chinese New Year’s Eve and how they cope with the struggles of living in the UK. The dinner on CNY’s Eve is considered the most important family gathering of the year and I would like to explore how other rituals are part of life and what commonalities there are between different cultures. This could either be based in finding spirituality, through organised religion or old-fashioned superstition. The zeitgeist topic in the BEA theatre community recently is all about identity (Citizens of Nowhere? by Ming Ho/ Gwei Mui by Jennifer Tang) and I would like to continue this conversation to show that whilst habits between cultures are different, the struggles of life and people’s coping mechanisms are very similar. This can be explored through brainstorming, improvisation and telling stories of people’s previous experiences. This should resonate with all audiences whilst still showing British Chinese identity in a different way. About Exit Pursued by Panda: Exit Pursued by Panda exists to promote the interests of British East Asian (BEA) actors and artists by looking to produce plays by and about British East Asians. It was created back in 2016 and the call to action came in 2017 when the Print Room staged In The Depths of Dead Love with an all Caucasian cast despite the play being based on a Chinese fable, set in Ancient China about Chinese people. However, my interactions with people in the BEA theatre community has been very limited, my first being in July 2018 at an event called Pulling No Punches – East Asian Voices. Ideally, I would like to use this day to work with as many BEA actors and artists as possible. However, if that is not possible, then having a range of people outside of the BEA experience will also be of benefit. Key Question: How best to approach and explore this idea from a musical theatre point of view and how can we develop this, keeping the original seed of a vision intact? About the Project: Mums! is the exploration from a predominantly female view point about becoming a parent for the first time and follows one woman’s journey and her experience of becoming a mum, which isn’t the idyll she expected. I want to discuss this idea openly (particularly with composers, writers and producers), and to explore, share, and listen to/read different musical/writing styles to see where we could take this project potentially. I want to approach it in a lighthearted way and I have a clear idea of what I would want this project to be, which first and foremost, is funny, ridiculous and very much tongue in cheek. However, I am still keen for the characters to be real, to have substance and to find those moments of real poignancy. This is loosely based on real life experience after all. So, meeting with collaborators/creatives who may be interested in this idea and who have a similar mindset/outlook would be brilliant! About Alix: I originally trained as an actor and (since having my family) have spent the past 18 years, training and directing young actors in performing arts with various companies/theatres in the South East. I have directed numerous shows, ranging from Macbeth to Hairspray and I’m particularly keen to work in musical theatre. Stuff ‘n’ Things is my new venture, a platform from which to create my own work for the mainstream and Mums! is my first project.